Audisee® eBooks with Audio combine professional narration and text highlighting to engage reluctant readers! When facing down a bully, a trip to the dentist, or your mom's prune oatmeal, there's only one thing you can dosmile a lot! And you'll pull through! 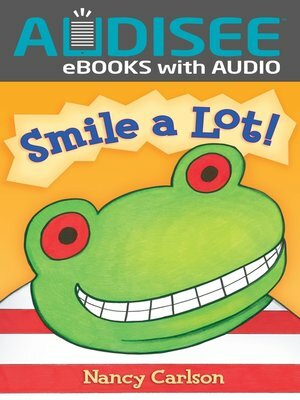 In this appealing new offering from best-selling author/illustrator Nancy Carlson, a determined little frog discovers that even when you don't want to, smiling can make any situation better.